A calm and peaceful day in the world of OCR; Tod was Super Nice, Sharkbait posted her May fitness challenge, Matty was singing, Keith Allen and Mike Natale were even being rather non-trolly. Peace and prosperity reigned over the land, and it was good. 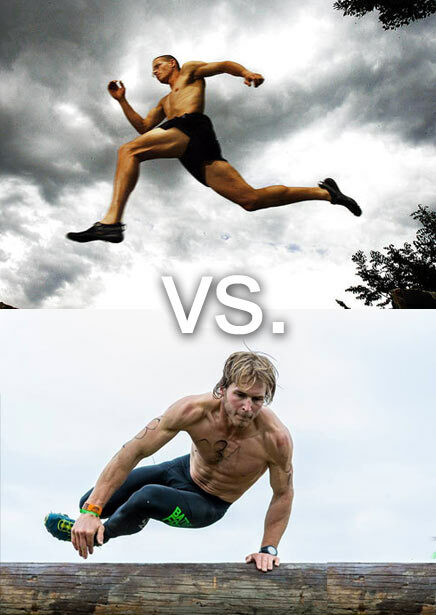 Several hundred comments and multiple humorous call-outs later (a personal favorite is Savage Race's Sam Abbitt challenging Tough Mudder's Will Dean to a “Winner Take All” at Savage Race) and the forecast was still cloudy: Would they or wouldn't they race in Utah? Beard™ was even consulted about the BattleFrog Utah course: “Mostly flat and very fast” and somehow he got roped into providing odds: “9:5 with Hobie as the ‘dog” and rumors began swirling about other invitees: Cody Moat, Hunter McIntyre, Brakken Kraker… what the hell was going on? Was Hobie drinking too much wheatgrass? Maybe it was all a joke; a semi-retired OCR athlete and full-time HVAC technician calling out the pride of Canada? He had to be pulling our leg, right? I'm pretty sure I was present the last time Hobie and Ryan went head-to-head, at the Warrior Dash World Championships in Tennessee. That day, on that course, Hobie did get the better of Atkins, so maybe there's something to this challenge? Maybe Hobie could pull out one spectacular win and steal Ryan's unBFeated status away – but why the challenge? Why now? BS: What made you decide to call Ryan out like this? HC: Well, the real answer is that I had a very rough winter, and need something to get me excited and motivated to train like a champion. Well, that's half the answer anyway. It's also a great way to learn the psychology of your opponents. And, the excitement of OCR has become stale as far as I'm concerned, and it's time to stir things up. BS: So, how is your training & fitness level now? 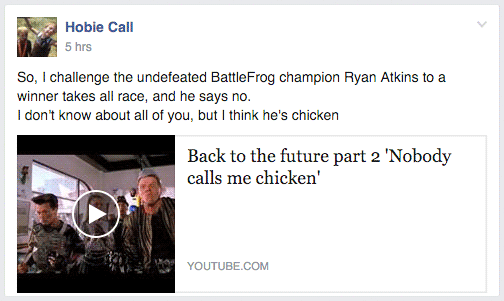 HC: Why did I challenge Ryan Atkins to a winner takes all at the Utah BattleFrog race? Because I'm sick of the excuses. MY excuses. I'm too old. I've got a wife and 5 kids. My job takes up too much of my time and energy. I can't afford the gear and food I need to be my best. Etc., etc., blah blah blah. There was a time when all of these “excuses” existed, but I wasn't about to let that stop me from being my best. I trained to win, and I raced to win. Second place wasn't an option. I put everything on the line, race after race. That's what it took to become the athlete that I became. That's what it took to get the best out of myself. I want to know who has the attitude to be a winner. Who has the confidence to be a winner? Who is willing to put it all on the line? Who isn't willing to settle for second best? Who has excuses and who is willing to put their money where their mouth is? Who thrives under pressure, and who avoids it? We have a handful of “superstar” OCR athletes now, and I want to know what they're made of. So, it's Ryan Atkins at the Utah BattleFrog race, but I would actually like to formally challenge the entire male “Spartan Pro Team members”, Ryan Atkins, Jon Albon, Hunter McIntyre, (insert any other top contenders here, sorry I've been out of the loop for a while), to a winner takes all at the Monterey “Golden State Classic” NBC race on June 4th. To be clear, each person's response does not dictate their value as a human being in any way. I don't want people to think that I will look down on anyone who does not agree to this challenge. BS: You were unbeatable in your “prime” 3 years ago, based on that baseline, what % do you think your performance is at now? HC: I'm not going to answer that. But I didn't make this challenge planning to lose. BS: Did you pick Ryan because you feel he is the best in North America? HC: No, I picked Ryan simply because it was a BattleFrog, and he's undefeated. BS: You like being the dark horse? HC: Let's see what today's athletes are made of. HC: If your placement qualifies you for an award and someone else in the challenge finishes ahead of you, then they receive your award. Anyone who's been close to Hobie (Margaret Schlachter, MRG Editor-in-Chief is his sister-in-law) for years knows how stubborn – I'm sorry, determined – he is when he locks in on something. We saw glimpses of this last year with his confusing retired/not-retired message, and many eventually did think his day had passed among the top OCR athletes when he slipped from 3rd place behind Albon and Atkins at 2014 OCRWC to a still respectable 6th place finish in 2015. Last year Hobie raced fewer obstacle courses than any other year during his reign at the top, and as of now in 2016 he's yet to make his season debut. Call, now 39 years old, now has the opportunity to pick and choose his battles; he's no longer a full-time professional athlete who needs to compete nearly every week to keep food on the table. Is this strategy, combined with the home-field advantage of a course less than 10 minutes from his house, enough to knock off Ryan Atkins, who is unquestionably one of the best in the sport right now? Will Atkins' full schedule of events and really intense training prove to even the odds? BS: So, are you in for the SLC 5/14 battle against Hobie? RA: Yeah man… let's not play to his ego though. BS: Agreed, love the way you handled it. BS: Who do you think your biggest competition is right now? RA: I dunno man. Myself. BS: Boo. Stock answer. Try again. BS: Do you feel like right now you are 100% at your prime? BS: You're a madman. Is the 50 training or a race? BS: Do you think Hobie in his prime ('13?) would be a closer race? RA: Not sure! I've never actually race “against Hobie” there has always been such a big gap that I've never seen how he moves over terrain. Sounds like SLC [course] will suit him though, so we'll see. BS: Margaret said the course is flat-flat, so that could be an advantage for him. 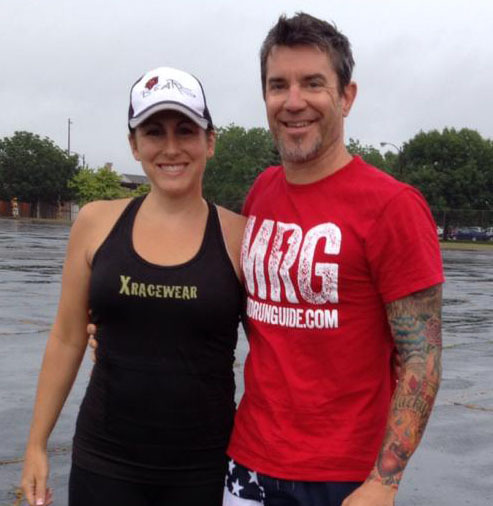 BS: Is there any OCR athlete out there right now that would make you re-think your race strategy in a “face off”? RA: I always have a race strategy, But I also just try to control what I can, and leave the rest up to the others. BS: I really like the idea of a showdown, would you rather it were you and Albon at a BF? BS: Think you'd have an advantage at the BF format vs OCRWC? RA: Probably a bit. The harder obstacles help me a bit. So, Atkins is as cool as a cucumber, and it appears he's not looking to provide any “bulletin board material” for Hobie to get worked up over. One thing's for sure, both of these guys have the steely nerves, skill, and confidence to put on one hell of a show. Fierce competitors alike, this one could be very close if Call comes in fresh and plays his cards right. Hey Beard, you up for $100 on those 9:5 odds? The Battle is set for May 14, 2016 just outside of Salt Lake City, Utah. Will you be there to catch the action? Who do you think will take it all? Great article. The real winner is gonna be the guy who sells popcorn at this race. This is a race that needs to be set up Hobie style…all the obstacles in a central location, viewer friendly. Seriously don’t wanna miss a second of this one! Loved this article. Your interview style is so concise.